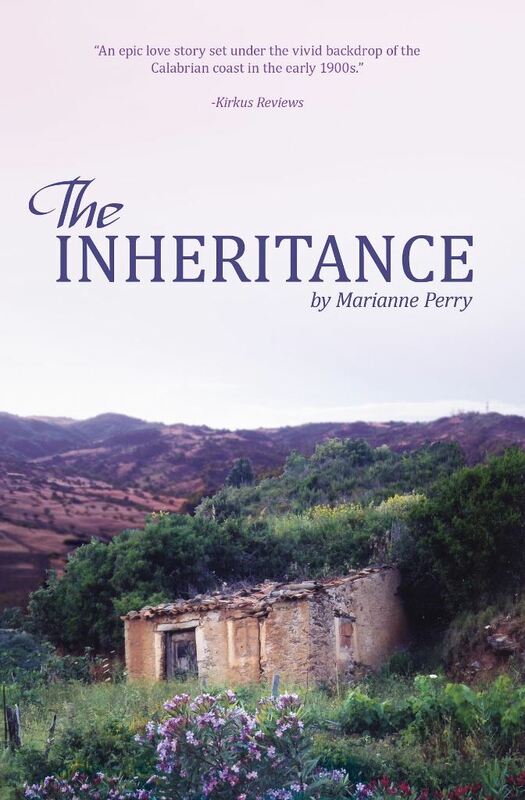 Today I’ve invited Marianne Perry, author of The Inheritance, to visit Ascroft, eh? to talk about her historical novel. Welcome Marianne. It’s always nice to have a fellow Canadian here. Let’s get started, shall we? 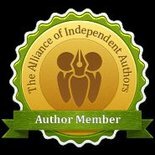 Tell us about your novel The Inheritance. MP: The Inheritance is a historical fiction/romance set in Calabria, southern Italy from 1897 to 1913. Caterina is the protagonist and the story chronicles her life from birth to young womanhood. During this period, the region was subject to earthquakes and tsunamis and the land, harsh with poverty the norm. Superstition clashed with religion and a rigid class system ruled the people. Calabria’s stark and unforgiving backdrop mirrors the tragic tale that unfolds in The Inheritance. Caterina is born into a society that has predetermined what she can and cannot do; nevertheless, she refuses to submit to the limits of her gender, the constraints of her standing and the demands imposed by those in power. Instead, she remains steadfast in her commitment to become the woman she imagines. In the end, Caterina’s decisions ignite conflicts that result in dire consequences for all whose path she crosses. What prompted you to write The Inheritance? MP: I am a second-generation Canadian-Italian and family mysteries intrigue me. I’ve pursued genealogical research for twenty years and what I unearthed about my grandmother’s early life in Calabria, southern Italy inspired me to write The Inheritance. My grandmother, Nana Caterina was the matriarch of our large Perry (Perri) family in Northern Ontario. Born 1889 in a mountain village in Calabria, southern Italy, she left her family in 1913, travelled in steerage on a steamship across the Atlantic Ocean and landed at Ellis Island, New York. She settled in Sault Ste. Marie, Ontario, Canada where she met and married my grandfather, another Calabrian immigrant. They raised nine children that included my late father and despite a formidable presence; her early life was shrouded in mystery. I became keen to unlock her past. Nana Caterina never returned to Italy or saw her parents again and I wanted to find out why! I began genealogical research, obtained original Italian documents and travelled to Calabria where I visited her birthplace. I have solved many mysteries and though The Inheritance is fiction, its tale emerged from discoveries made about Nana Caterina’s early life in Calabria. MP: The Inheritance mirrors conditions and circumstances in Calabria, southern Italy during the period 1897 to 1913. What research did you do for The Inheritance? MP: a). In order to realistically depict Calabria, southern Italy during this period, I studied the history, geography, social mores, religious beliefs and cultural traditions of the region. I reviewed old maps to ensure the settlements referenced existed at this time plus familiarized myself with their particular evolution. To heighten accuracy, I gained understanding about the feudal land system and the ‘Ndrangheta, an criminal network rooted in southern Italy. b). Caterina, the protagonist, ages from birth to sixteen and my ancestral research emphasized my grandmother’s life prior to her 1913 North American immigration in an effort to understand her everyday experiences as well as those of her contemporaries. I examined myriad vital records and a wide range of genealogical documents specific to men, women, children and families of her era to grasp living conditions and challenges pertinent to Calabria, southern Italy. c). Names help establish authenticity in historical fiction and I selected those such as Mafalda, Fiore and Elda for minor characters from Italian genealogical documents of the late 19th and early 20th century. d). Place descriptions enliven the past for readers and my travel to Calabria, southern Italy and exploration of the actual places where the action of The Inheritance occurs helped me pen vivid passages. I also kept a journal plus took hundreds of photographs when I visited Calabria that I referred to while writing drafts of the novel. MP: a). Travelling to Calabria, southern Italy and exploring where I set The Inheritance was an effective writing tool. The Villa San Michele, for example, is fictional but The Grand Hotel San Michele exists. In the story, San Michele is owned by Santo and Anna Marino and Caterina’s family are peasants living on an enclave who work for them. The Grand Hotel San Michele, located near Cetraro, is a turn-of-the-century villa situated on a 124-acre estate overlooking the Tyrrhenian Sea. I stayed there when I went to Calabria, became friends with the woman who owned it, heard about its origins and shared my plans to write The Inheritance. Wandering the grounds, absorbing the sweet scented lavender shrubs and listening to the crashing waves on its private beach as Caterina does in The Inheritance made me feel as if she’d actually lived at San Michele. b). In The Inheritance, an earthquake striking southern Italy on December 28, 1908 has a devastating impact on Caterina. I chose the natural disaster because it advanced plot, developed conflict and reflected a true event. According to historical records, an earthquake occurred this day centered on the city of Messina, Sicily. It registered 7.2 with aftershocks felt for a radius of 300 kilometres. The twelve metre tsunami that followed devastated the Tyrrhenian coast and authorities have estimated between 100,000 and 200,000 lives were lost in southern Italy. What happened to Caterina in The Inheritance would have been a fate suffered by many. c). While travelling throughout Calabria, I was on the lookout for a cover photograph and I snapped the picture of the old crumbling stone cottage featured on The Inheritance. It was located near the mountain village where my Nana Caterina was born and is intrinsic to Caterina’s story in the novel. How perfect, I thought. MP: I write from multiple points of view; hence, male and female. My thirty-year career in education, communication, the private sector, volunteerism plus background in teaching dramatic arts has helped me finesse my characters. In addition, I am an international traveller and have explored every continent. Like many adults, I have had diverse roles: daughter, wife, ex-wife, mother, single-parent, parent-caregiver, sister, friend, unemployed worker, etc. The totality of such experiences have widened my understanding of others, enriched my awareness of the world and provided me valuable insight that I can blend into those I create to tell my stories. Thank you for answering my questions, Marianne, and good luck with your novel. Readers can learn more about Marianne by visiting her pages on Facebook, Twitter, Instagram, LinkedIn, and Goodreads. About Marianne Perry: Family dynamics, genealogical research to solve ancestral mysteries and international travel are her priorities. A second-generation Canadian-Italian, she is the author of The Inheritance, a historical fiction/romance set in Calabria, southern Italy from 1897 to 1913 that was inspired by her grandmother’s early life. 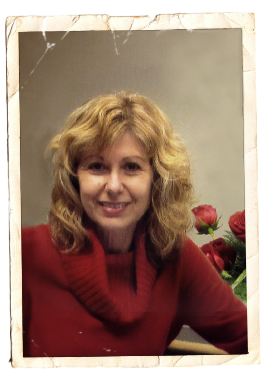 With a thirty-year career in education and communications, Marianne holds a Master of Education Degree from The University of Western Ontario (Canada). A past member of the Board of Trustees, the Canadian National Arts Centre Corporation, she has also published non-fiction genealogical articles throughout North America. As a girl, she fell in love with The National Geographic Magazine and dreamt of exploring the world. With her January 2014 visit to Antarctica, she achieved her goal of stepping foot on every continent. The mother of two grown children, Marianne and her husband live on the shores of the St. Mary’s River, which drains Lake Superior on the outskirts of Sault Ste. Marie, Ontario, Canada. She continues to research her family’s history and write non-fiction genealogical articles. In addition, she is working on her second novel and planning further adventures. Marianne blogs about genealogy, travel, family and writing on her website. This entry was posted in May 2015 and tagged Calabria, historical fiction, Italian-Canadian, Italy, Marianne Perry, The Inheritance. Bookmark the permalink.